Theranos went from one of the most lauded "unicorn" tech startups in Silicon Valley to a company crippled by scandal. Elizabeth Holmes, Theranos' founder and CEO, dropped out of Stanford University to launch the company in 2003 as a cheaper, more efficient alternative to traditional medical tests. It promised patients the ability to test for conditions like cancer and diabetes with just a few drops of blood. But questions swirled over its testing and technology. Investigations ensued. And on Friday, Holmes was charged by the US government with wire fraud and conspiracy to commit wire fraud. She faces up to 20 years in prison if convicted. Here's a look back at the rise and fall of Elizabeth Holmes and her blood testing startup. — September 29, 2014: Holmes is named one of the richest women in America by Forbes. The outlet reports she owns a 50% stake in the startup, which is valued at $9 billion. — December 15, 2014: The New Yorker reports Theranos has raised more than $400 million and it counts Oracle's Larry Ellison among its investors. — October 12, 2015: The New York Times names Holmes one of its "Five Visionary Tech Entrepreneurs who are changing the world." 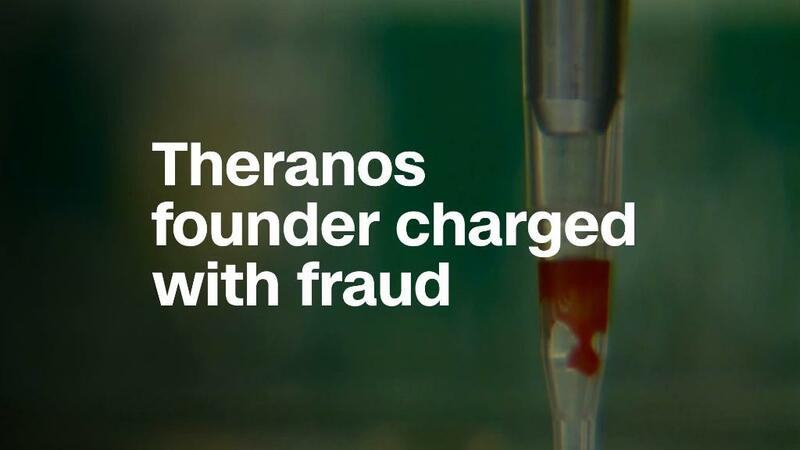 But shortly after, headlines for Holmes and Theranos take on a different tone. — October 16, 2015: The Wall Street Journal publishes a front-page story about the accuracy of Theranos' tests, claiming the company used traditional lab machines instead of its own. — October 27, 2015: An FDA report cites numerous concerns with the company, calling its proprietary blood-collection vial an "uncleared medical device." — January 27, 2016: Centers for Medicare and Medicaid Services sends Theranos a letter saying it was not complying with federal blood-testing rules and that patients were in "immediate jeopardy." It gives the company 10 days to address the issues. — July 7, 2016: Regulators ban Theranos from running a lab for two years and revoke its certification. — October 5, 2016: Theranos closes clinical labs and wellness centers and lays off 340 employees. Holmes says the company will pivot and focus on making a small, automated testing machine. — March 3, 2016: A federal agency releases a redacted 121-page report based on a previous inspection of the Theranos labs, citing serious issues with the company's equipment and quality control. — May 2016: Theranos president and COO Ramesh "Sunny" Balwani steps down from the company. — June 1, 2016: Forbes revises its estimate of Holmes' net worth from $4.5 billion to $0. It also lowered its valuation for the company from $9 billion to $800 million. — June, 2016: Drug chain Walgreens, which had Theranos centers at 40 locations, pulls out of its three year partnership with the company. — August 1, 2016: Holmes tries to revive the company by presenting the company's mini testing laboratory, called miniLab, at a conference for the American Association for Clinical Chemistry. Attendees were skeptical. — October 10, 2016: Major Theranos investor Partner Fund Management sues the company, accusing it of securities fraud. The lawsuit was settled in May, 2017, for an undisclosed amount. — November 8, 2016: Walgreens sues Theranos for $140 million, alleging breach of contract. The lawsuit was settled August, 2017, for an undisclosed amount. — January 6, 2017: Theranos lays off another 155 employees -- 41% of its staff. — January 17, 2017: The Wall Street Journal reports that Theranos failed a second regulatory lab inspection in September, and that the company was closing its last blood testing location as a result. — April 17, 2017: Theranos settles with the Centers for Medicare and Medicaid Services, paying the government agency $30,000, giving $4.65 million to Arizona customers, and vowing to stay out of blood testing for two years. — March 14, 2018: The SEC levies civil charges against Holmes and former Theranos president Ramesh Balwanifor an "elaborate, years-long fraud in which they exaggerated or made false statements about the company's technology, business, and financial performance." Holmes agrees to a settlement that requires her to pay a $500,000 penalty, sidelines her from decision making at Theranos and bans her from top leadership positions at publicly traded companies for a decade. — June 15, 2018: Holmes and Balwani are charged with two counts of conspiracy to commit wire fraud and nine counts of wire fraud. They are accused of carrying out a multi-million dollar a scheme to defraud investors, doctors and patients. If convicted, they each face a maximum sentence of 20 years in prison and a fine of $250,000, plus restitution for each count of wire fraud and each conspiracy count, according to the US Attorney's office. --This is an updated version of an article that was published on March 14, 2018.